Winter can be one of the most romantic times of the year to get married to your loved one, and luckily for us here at The Heights we have the most beautiful setting to make your wedding vision perfect. From the arrival drinks reception in our grand glass orangery where guests can enjoy mulled wine by the roaring fire to the reception in our winter wonderland themed Mangerton Suite, we have the ideal surroundings for you to take indoor photos that the weather may not permit you to take outside. This year The Heights Hotel are running a special offer for new bookings. Book your 2019/2020 Winter Wedding on select dates between November 2019 and March 2020 and receive a €1,000 discount from your final bill. Applies to weddings of 150 guests availing of our 'Bud', 'Blossom' or 'Bloom' packages. Cannot be exchanged for cash or other discounts. Introducing our new Wedding Show Around Package. 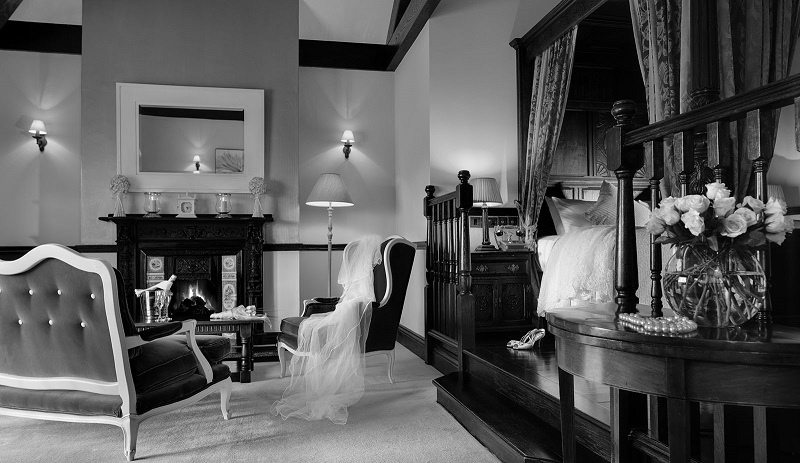 Whether you are travelling from afar or just want to experience The Heights first hand why not stay over in our wedding suite* and dine with us with a delicious 3 course meal in the Mill restaurant. You'll also avail of a private showing by our wedding manager Natalie Bader who will take you on a short tour of the wedding rooms and discuss our packages with you as well as giving her advice and ideas she's gained from years of experience in event management both here and abroad. *wedding suite subject to availability. ** total price of stay will be deducted from final payment of wedding. For availability and to book contact the Events Team Here.